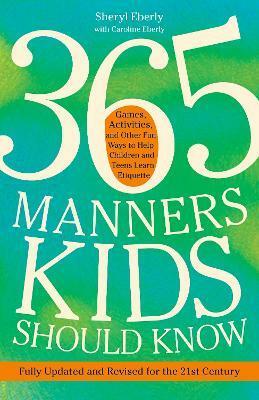 - How to behave at events like birthday parties, weddings, and religious services Full of role-playing exercises, games, and other activities that adults can do with children, 365 Manners Kids Should Know explains not only what manners to teach, but also how--and at what ages--to present them. SHERYL EBERLY runs Distinctions, a company that presents manners instruction seminars to children, young adults, and businesspeople. She lives with her family in northern Virginia.